With the arrival of the holiday season, children have more free time, which is an excellent opportunity for the area of development education, which multiplies its program of activities. This awareness program is closely linked to issues such as environmental protection, responsible consumption, 3R, climate change and North -South divide. It is also the perfect complement to the collection of textiles. On Saturday December 21 the Christmas cycle ripped a puppet workshop with recycled textiles, in the Plaza de Santa Barbara in the Seville town of Villanueva del Rio and Minas. In Asturias, until January, 4, Mercaplana actively participate in Gijón, the Hall of Christmas for Children and Youth organized by the Chamber of Commerce of the city. Ballons, paintings, wishing tree... fun and games at a fair in the smaller enjoyed pretty. 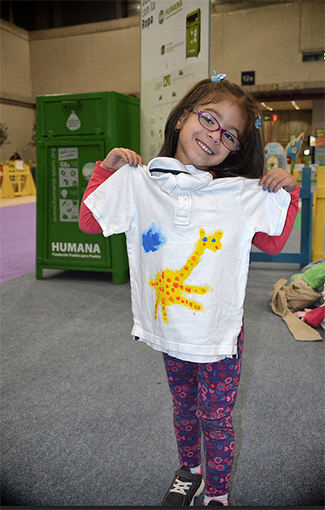 On 3 and 4 January, Humana has organized together to Handbox, Babytendence and Matadero Madrid, the second edition of ‘Recicladero’. During the two days of intense activity, more than 250 people, children and parents, participated in the workshops of the Foundation. 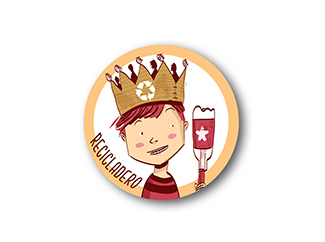 In total, the number of participants exceeded 2,000 people in Recicladero 2014. You can see the best pictures of the event on Facebook and Flickr.